Today we surf the internet using lots of other download utilities to get the best of what we wants , in terms of files we likes to download. But how to verify we are having the good download manager. There are lots of download acccerlerator in the markets but only two DM's I have found really nice i.e DAP (download accelrator plus) and IDM of which IDM is very Good. Protocols Support : IDM supports HTTP, FTP, HTTPS and MMS protocols. Multimedia Support: MP3 audio , MPEG video ,and all other files content processing. Browser Integration : Internet Explorer, MSN Explorer, AOL, Netscape Communicator, Netscape 6, Netscape 7, Mozilla,Mozilla Firefox , Mozilla Firebird, Opera, NetCaptor, UltraBrowser, Slim Browser, Avant Browser, MyIE2, Optimal Desktop, Ace Explorer, Advanced Browser, 27 Tools-in-1 Wichio Browser, WindowSurfer, 550 Access Browser, FineBrowser Freeware, Kopassa Browser, Fast Browser Pro, Enigma Browser, GoSuRF, K-Meleon, Smart Explorer, The Off By One Web Browser, Smartalec Voyager, CrystalPort AppCapture, The Family Browser, XANA Web Browser, Bluto, AutoSurf, 32bit Web Browser, BrowseMan, WrestlingBrowser, Eminem Browser, UltraBrowser, Cygsoft LDAP Browser, and Net M@nager.Internet Download Manager supports all versions of popular browsers, and can be integrated into any 3rd party Internet applications. Bandwidth Control : You can set the badwidth for the download , so that your download won't affect you browsing speed. Speed Acceleration: Internet Download Manager can accelerate downloads by up to 5 times due to its intelligent dynamic file segmentation technology. Unlike other download managers and accelerators Internet Download Manager segments downloaded files dynamically during download process and reuses available connections without additional connect and login stages to achieve best acceleration performance. Resume capability : Internet Download Manager will resume unfinished download from the place where they left off,even if the resume is not supported over the site you can download from where you stopped or if computer shutdowns. Grabber : Internet Download Manager can grab FLV videos , audio from popular sites like YouTube, MySpaceTV, and Google Video etc. Download Security: Automatic Antivirus checking. Antivirus checking makes your downloads free from viruses and trojans. Download Scheduler: Internet Download Manager can connect to the Internet at a set time, download the files you want, disconnect, or shut down your computer when it's done. proxy servers: IDM works with Microsoft ISA, and other FTP proxy servers. Authentication protocols: Basic,NTLM, and Keberos. Thus IDM can access many Internet and proxy servers using login name and password. Download Categories : Internet Download Manager can be used to organize downloads automatically using defined download categories. 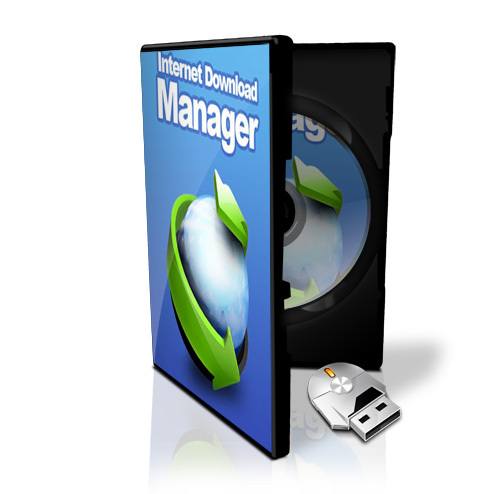 So after looking IDM's rich features I recommends to use Internet dowload Manager than any other dowmoad manager. P.S : The above Download manager has been tested and tried And I'm using it from past 3 yrs and its working great , hope it holds the same for you. OS Performace , Data Backup & Recovery Tools.